We do Viking grill repair! Fast, convenient and professional service! We do professional Viking grill repair in your area. Our services include maintenance, cleaning and complete restoration of BBQ grills as well as repair and cleaning of other Viking outdoor appliances such as refrigerators, ventilation, etc. We work fast and do the job right because we are highly skilled and experienced with all models of Viking appliances. Our technicians are all factory trained and certified. Their demanding performance standards cover product maintenance, diagnostics, repair and customer relations. Will will not only find the problem but will also order right parts for your grill and professionally install them for you. Your Viking grill will be as good as new when we are done with it! We can repair any of those appliances for you no matter how damaged, old or rusted they are. Our company specializes in restoring outdoor appliances and making them look and function like new. We can repair your entire outdoor kitchen. Besides doing an excellent job in barbecue repair, barbecue cleaning and restoration we also offer our clients the best customer service around. Our team is friendly, respectful and ready to help you. They are all top experts in their field, and you can totally rely on them for help with your Viking grill repair. We will try to make your experience as fast and convenient. Our scheduling is flexible. We can come over in the afternoon or on the weekend. Also, we offer our clients FREE and accurate estimate with every job as well as FREE service call with any repair. We preorder you the genuine Viking appliance parts, and those parts have a 3 year full warranty on them if installed by our specialist. With us, you will get the best service at the lowest price possible! Why hire us to do your Viking grill repair? We would be your number one choice in Viking grill repair because we have the most experience and knowledge in that field. 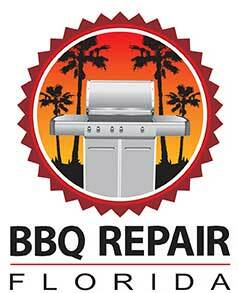 Our company has more than 30 years of experience repairing, cleaning and restoring all models and brands of grills. We are very familiar with Viking brand and in fact we specialize in it. Our technicians have put in hours into factory training and certification. No matter how challenging the task we will be able to find the right solution for you and get the right parts and tools to solve your problem. Your Viking will be grilling better than ever after just one appointment with us. For Viking grill repair, please call us at 469-440-2605! Or fill out of short online form! Besides Viking grill repair we also do all the other brands such as Alfresco, Capital, DCS, Fire Magic, Kalamazoo, Lynx, TEC, Thermador, Twin Eagles, Viking, Weber, and Wolf. We do gas barbecue repair, smoker barbecue repair, electric barbecue repair, portable barbecue repair, charcoal barbecue repair, freestanding barbecue repair, built in barbecue repair. We also repair, install and clean outdoor kitchens, cooktops, pizza ovens, sinks, outdoor refrigerators, wine coolers, dishwashers, beer taps, smokers, hibachi grills, warming drawers, patio heaters and much more. We will be happy to hear from you about any of your outdoor appliance needs! We do professional Viking grill repair in your area. Our services include maintenance, cleaning and complete restoration of BBQ grills as well as repair and cleaning of other Viking outdoor appliances such as refrigerators, ventilation, etc.